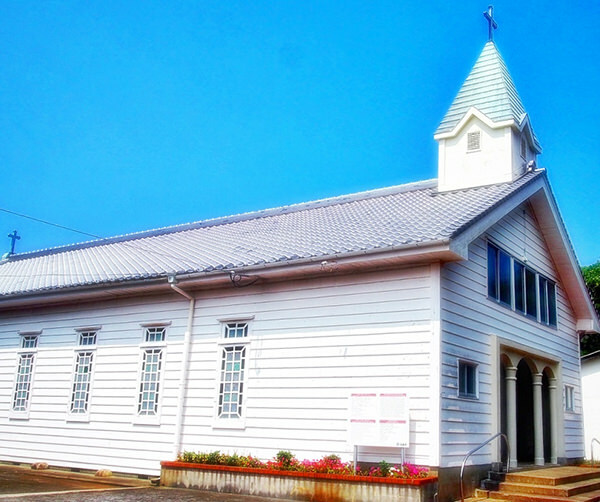 Kaitsu Church is a Catholic church in Fukue Island, along with Mizunoura Church (refer to #569), Imochiura Church (refer to #570), Kusuhara Church (refer to #571), and Fukue Church (refer to #572). The Christians constructed the first version of the church in 1924 and largely restored it in 1962 at the same place. 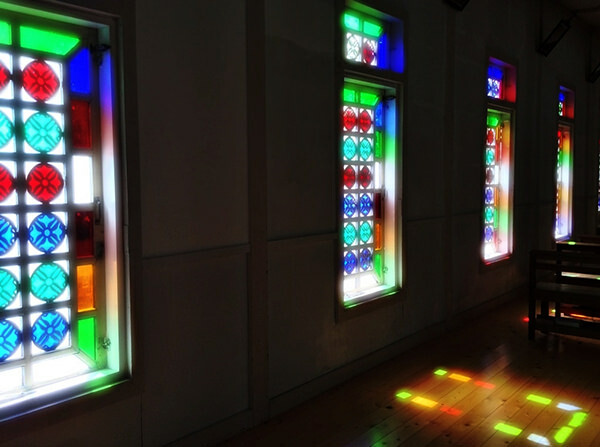 The church is known for its beautiful stained glass windows.